We live in an era of online business which makes websites vulnerable to hackers, phishers, spoofers, and other cyber-criminals. Thus, it is imperative for all business owners to install SSL on their sites to protect their online stored information and keep internet fraudsters at bay. SSL certificate, the abbreviated form of Secure Sockets Layer Certificate is an online identification proof for businesses. This certificate guarantees the safety and security of your websites to your online visitors besides promising them to protect their sensitive information, such as username, passwords, or credit card numbers and so on. Once you get an SSL certificate, you can encrypt and secure all communication that takes place between your customers and your website. You can easily find out if a particular website is protected by SSL certificate. All you need to do is look out for the green padlock icon on your address bar, and ensure that the URL of the site is displayed as “https://” instead of “http”. However, some websites use more advanced versions of SSL certificates that display a green bar along with the name of the company on the address bar of the browser. You can avail encrypted security while transferring sensitive data online without the chance of falling victim to online hackers. With an SSL certificate, you can easily win the trust of your customers by securing their personal data and protecting them from phishing scams. Google also rewards websites using HTTPS by slightly boosting their rank on its search engine. Thus, an SSL certificate can help you boost the SEO of your business. As soon as you visit an SSL-enabled website, the device used by you gets connected to the web server to authenticate the SSL certificate with the certifying authority. Once the verification is done, the device forms a preliminary connection with the web server to find out the type of encryption they will be using; this process is called a ‘handshake’. After the initiation of the handshake, your browser uses the public key to establish a connection with encrypted data or provides the user with a warning about the invalidity of the SSL certificate. On receiving encrypted data using the public key, the data is decrypted by the server using the private key that is accessible only to the specific server. Now a session key is generated and sent the browser so as to create a private connection between the server and the browser. SSL certificates are of three types. 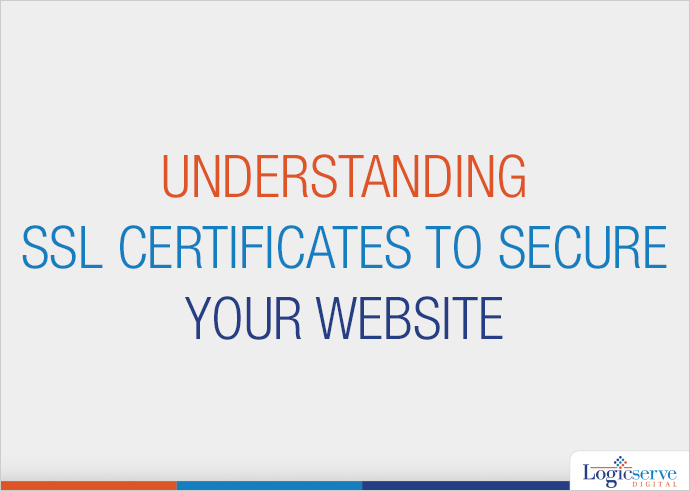 You should choose the right type of certificate depending on the level of security required by your website. Now let’s elucidate the different SSL certificate types that you can opt for your business. By configuring a DNS record for the website. High Assurance Certificate: Also known as an organisation-validated certificate, it requires human agents for verifying the ownership of the domain including other relevant information pertaining to the organisation, such as name, location, country, etc. High Assurance SSL certificate offers medium protection and is recommended for all types of businesses. Extended Validation (EV) Certificate: This certificate is ideal for all e-commerce businesses as it provides high protection. As the name suggests, Extended Validation SSL certificate calls for the most scrupulous verification procedure. EV certificate takes all measures to make sure that you own an authorised business besides verifying all relevant business information to establish the proof of domain ownership. The best advantage of EV Certificate is that it displays a green padlock on the browser bar of your website to guarantee secured transaction to your consumers. Moreover, EV SSL Certificate is far superior to standard SSL certificates as the latter do not signify that your website is being run by a legitimate business. The processing time for all the three types of SSL certificates could take anywhere from a couple of minutes to a few hours. SSL certificates are issued by reliable certifying authorities like Symantec, GeoTrust, GlobalSign, etc., that carry out different levels of security inspection based on the type of SSL certificate purchased by you. Moreover, you can also opt for third-party SSL providers which offer the same level of security at an affordable price. It is advisable not to opt for self-signed or free SSL certificates. Websites that are secured with a free SSL certificate display an error text when a user visits such websites. While some visitors are bold enough to proceed to such sites by clicking “I understand the risks”, a majority of visitors would prefer leaving the site by clicking “Get me out of here”. Free SSL certificates are not virtually regulated. If your website is hacked, it may still appear safe and protected; nevertheless, SSL certificates issued by reliable certifying authorities can be nullified and thus, they notify users of impending risks. You may consider using self-signed SSL certificate onlywhen you are protected by a firewall. If you want to secure a single domain, you must opt for Single-name SSL certificate. In order to protect a domain having multiple sub-domains on a single SSL certificate, you would have to ask for a Wildcard Certificate. For securing over 200 diverse domains with a single SSL certificate, you must opt for multi-domain certificates. However, there are some common problems that may annul your SSL certificate. Serving mixed content via both HTTP and HTTPS: You can troubleshoot mixed content issues by serving all content over HTTPS instead of HTTP. This will ensure that all content are being loaded from a protected source. Certificate name mismatch error: This error arises when the domain name given in the SSL certificate differs from the address that shows in your browser. Thus, make sure the domain name appearing in your browser is identical to the name you had provided while registering the certificate. Expired certificate: To avoid this error, make sure you renew your certificate even before it expires. Missing Intermediate Certificate: Make sure you install an intermediate certificate to enable your SSL certificate to function flawlessly. SSL acts like a protective shield to secure the Internet. We live in an era of online business which makes websites vulnerable to hackers, phishers, spoofers, and other cyber-criminals. Thus, it is imperative for all business owners to install SSL on their sites to protect their online stored information and keep internet fraudsters at bay. What Difference Has Google Panda Made To modern SEO?